The Education Resource Center was created to collect and store new and reusable items donated by businesses and individuals to benefit our teachers, students and their schools. Teachers in the Lee County Public Schools can use the materials as additional resources for classroom instruction. The Education Resource Center is open to Lee County Public School teachers two times per week during the school year. The popularity of the Education Resource Center is evident based on the amount of donations received and teachers who visit. More than 1,000 teachers visit the Teacher Resource Center each year, averaging 100 teachers per month. The Teachers – School budgets cannot always supply our children and teachers with all of the resources they need to succeed in school. 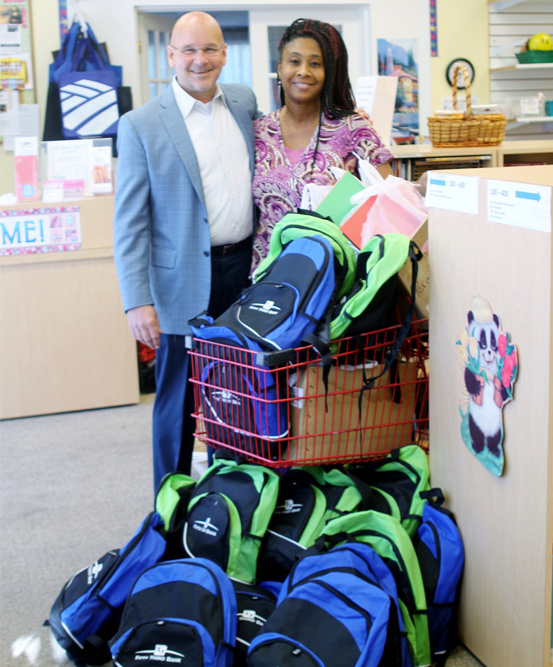 The Education Resource Center grants our educators access to free items to use in their classrooms. Items such as arts and crafts materials, classroom supplies, books and basic supplies are greatly needed and give teachers the opportunity to conduct unique learning projects. The Students – Children are given the tools and supplies they want and deserve to enhance the quality of their learning experience. Many of our students come to school unprepared to learn. The Education Resource Center gives our students an advantage. The Community – Many items that individuals and businesses throw away could be used by the teachers in our schools. The Education Resource Center is available to receive many of your unwanted items. Donors will also receive a tax deduction for all donations.